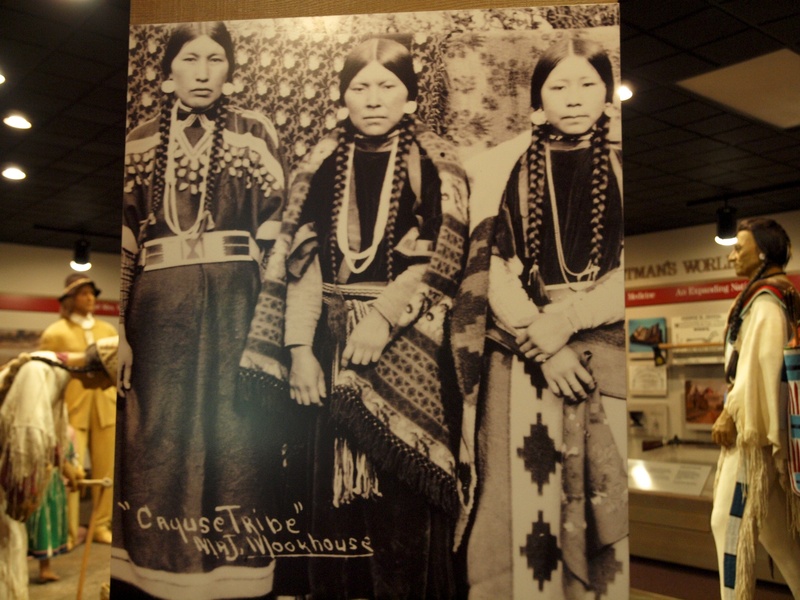 Nowhere was the difference between missionaries and Natives more stark than the site of the Whitman Mission near Walla Walla, Washington where Marcus and Narcissa Whitman were the first Protestant missionaries West of the Rockies. They came out together with the Spaldings who settled near Lapwai with the Nez Perce. While the Spaldings lived out their lives among the natives, in the eleventh year of their mission the Whitmans were murdered by their Cayuse charges. What were the differences? First, the Nez Perce had requested that missionaries be sent to teach them from “The Book of Heaven.” Second, if I understand it right, the Spaldings’ dedication to the Indians was unwavering, they were in fact buried in Nez Perce country, while Whitman got more interested in helping develop the Oregon trail and new Anglo settlements. The most important difference might have been measles. Here’s the quick version. The Cayuse were interested in trading but not much in agriculture and still less in Christianity. Whitman gradually became more interested in white settlement, even leading one of the largest early wagon trails out to the Oregon territory. It was from one of these caravans that the Cayuse picked up the measles. Half of their band died in a few weeks. The Whites who were now passing through the mission by the thousands were sick, too, but Whitman, who was a doctor, seemed able to cure them. Among the Cayuse if a Medicine Man could not cure someone he could be killed. In 1847, a group of about five men entered the Whitman’s home and clubbed Marcus to death as he sat before the fire. Narcissa fled but was shot through the chest in the yard. The mission was destroyed and over 50 students from the school were taken hostage. These were raped and forced to work for the tribe until the Hudson Bay company ransomed them. The Cayuse War lasted only a short while. 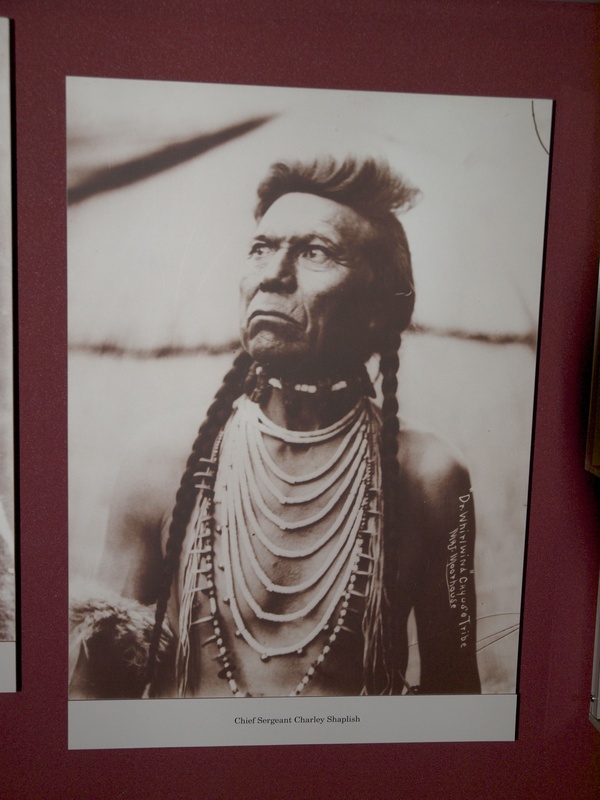 In 1855, that same treaty that sent Chief Joseph fleeing from Oregon, the Cayuse were removed to the Umatilla Reservation. They were a small band and their language has long been extinct. One note of sadness for the Whitmans was that there only child, Alice, the first white child born out West, drowned in the creek near the mission. She was just shy of two years old and beloved by both the missionaries and the Indians. 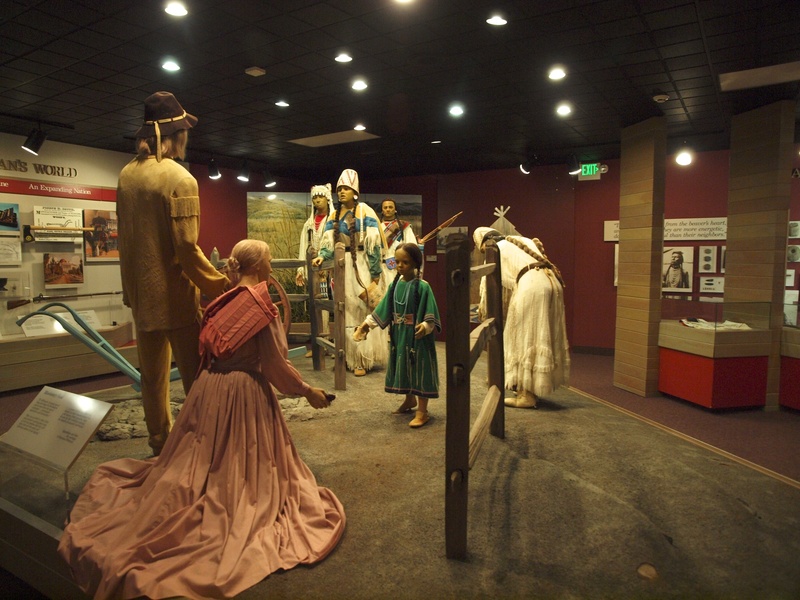 This diorama from the Whitman Mission center depicts the benevolent ideals of Protestant missionaries. Below I have copied an unattributed quote from a Cayuse Indian after they were removed to the reservation. I have copied it as it was written at the interpretive center. “It was the time of no time. There were no fences then and no one owned the land. and they could get the truth through the animals. I don’t think they can now. Legend days will be over. And that’s the way it’s going to be. I’m way up in the wilderness. Those last lines ironically reminded me of what the Whitmans must have felt at the drowning of their daughter in the creek. The mission became an important stop on the Oregon Trail. Pioneers poured into the country by the thousands. The end result of the mission was that the Indians never became farmers alongside the whites but were moved to the reservation where they knew hunger, violence and despair. 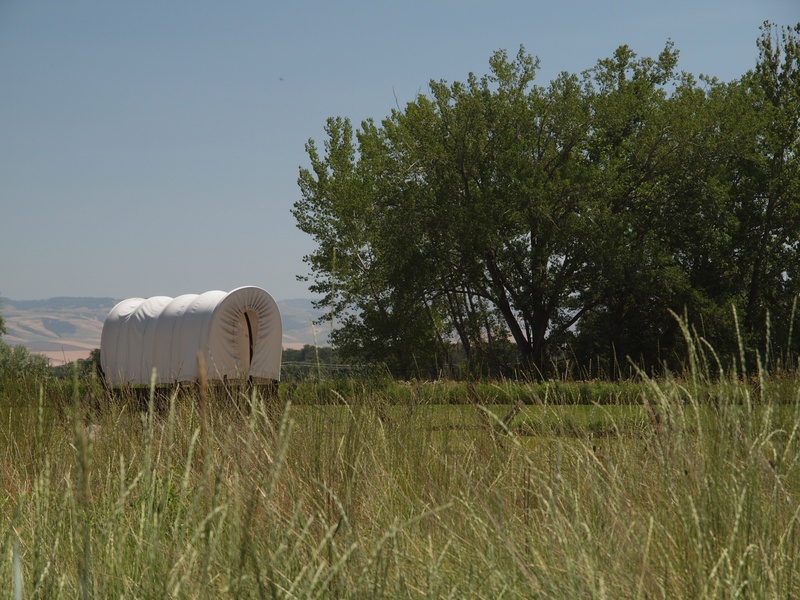 A bit of the Oregon Trail has been preserved at the Whitman Mission. We had a little trouble finding the mission which is now surrounded by elegant wineries. Had we known we could have had a nice wine tasting adventure. Maybe, next time.